We realize that every space is different and every client's needs are unique. With that in mind, we design our services for you specific needs. We custom train all of our custodians on site-specific plans, in order to ensure that your every need can be known. We pride ourselves on our ability to make your priorities our priorities, and we strive to build a a working relationship with every client that not only meets but exceeds your expectations. We make sure every staff member is responsible for your satisfaction. We work to promptly resolve any issues that may arise. Associated Building Maintenance Co., Inc. is a woman-owned, contract cleaning company headquartered in Crofton, Maryland. Our over 1, 000 employees clean over 14 million square feet daily in the Maryland, Virginia, and Washington DC area. Thanks to twenty-five years in business and counting, our staff brings over one hundred years of combined experience to this field. Our mid-sized company had small beginnings. 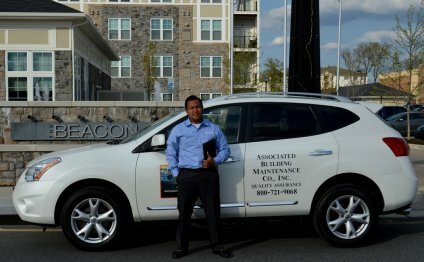 We have grown from cleaning two or three locations into a comprehensive cleaning and and building service provider that is on the move and is one of Anne Arundel County's largest employers. Since our founding in 1987, though, we have remained true to one philosphy: we provide quality service, offer competitive prices, and add a personal touch. We are locally owned and operated, and we enjoy being an active member of our community. We have partnered with other minority-owned businesses and companies. We also participate in philanthropic activities and organizations, because we believer that giving back to our local community is not only our responsibility but our privilege.